I like the concept: Antoine, a 25-year-old Aramaic scholar living in Paris, realizes that the reason why he isn’t happy is because he is too smart. His intelligence prevents him from ignoring the problems and flaws in society today, keeps him from doing the things that bring pleasure because he thinks too much about the costs and implications and consequences, and of course ostracizes him from the general run of society, who can’t deal with him and can’t relate to him, just as he can’t connect to them. So he decides an unhappy life isn’t worth living, and so he will find a way to fix it. Next, he decides to commit suicide. He joins a society that helps people to do it – it has a new instructor, as the last guy just recently succeeded in putting his theories into practice; he gets a warm round of applause from the newbie and all of the membership – but after sitting through a session on the reasons for and the best means of offing one’s self, he decides he can’t go through with it. So Antoine decides to become stupid. He quits his job as a translator of and sometime lecturer on obscure ancient texts; gives away all of his books; alienates his intelligent friends; and becomes – a stockbroker. He starts taking antidepressants, makes a ton of money, buys himself a sports car he can’t drive, the whole bit. That’s where the real satire comes in, though there are certainly elements of it before then. The indictment of the “normal” life and goals of the average man is pretty devastating, leaving none of the common accepted goals unskewered. Page mocks dating, employment, wealth, housing, fashion, fame – all of it. But I guess my problem with the book was, none of those things are me. I don’t want oodles of money and a sports car; I don’t want to take anti-depressants or drink a whole lot of liquor; I don’t want to date hot women who are after my wallet. (I have a hot wife who likes my eyes and my smile and my sense of humor.) I thought Antoine’s original life sounded pretty dang good, other than the fact that he just won’t quit worrying about it. And since that does apply to me, I got that moral right away. But I kind of already knew that, so I suppose the book wasn’t really a revelation for me. I think it probably could be for some people, and since for me it was certainly a quick and easy read, with some truly interesting pieces – his friends, for instance, were great, and there was one that I took as a genuine warning that I should give up one of my worse habits, that of questioning and criticizing everything around me, including my friends; I also really enjoyed the ending, though I thought it was a little abrupt – I think it’s worth checking out. At worst, it will be fun; at best it really might be inspiring. That’s kind of all I can say. Oy. Or maybe Oof. Like I’ve been punched in the stomach. I mean, I knew it was coming. I knew what happened in 2007 when the economy collapsed. I knew it was because commercial banks turned personal finance accounts into commodities. I knew they overextended themselves, leveraging assets 35-40 times, creating hundreds of billions of dollars of imaginary wealth, largely in order to earn commissions. I knew they made the financial system collapse, and then the government bailed them out with TARP, handing over hundreds of billions of taxpayer dollars without any stipulations, because the companies were “too big to fail.” I knew that millions of those dollars were used to pay bonuses to the brokers and executives that devastated the economy. I knew that nobody went to jail, and I’m pretty sure that Wall Street is back doing a lot of the same things again, for exactly the same reasons. But still, having it broken down for me in even greater detail was like getting punched all over again. It’s a pretty good book. I think it didn’t quite go basic enough for me, though I liked the way that it was written. 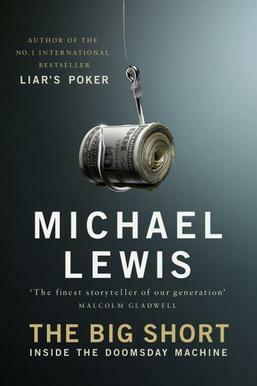 Essentially, Michael Lewis — who started as a Wall Street guy back in the 80’s — went out and found the people who figured out that the collapse was coming before it came, and reacted accordingly. Then he got the whole story from three of them: a hedge fund manager in California, an investment group, and a small brokerage firm. In each case, these people saw, because of their own unusual perspectives, that there was something deeply flawed about the market in the first half of the 2000’s. And they bought and sold based on what they saw, and while the economy collapsed, they made money hand over fist. But it’s not a story of capitalism, not really; the overriding impression you get is that these guys went from excited for the opportunity they saw, to deeply disturbed that nobody else could apparently see what was happening, to horrified about how bad the problem was going to get before things simply broke. And why did all of that happen? Why did everything break? Because people were making money. Sure, doing so was ruining millions of other people; but what does that matter? As long as I get mine. 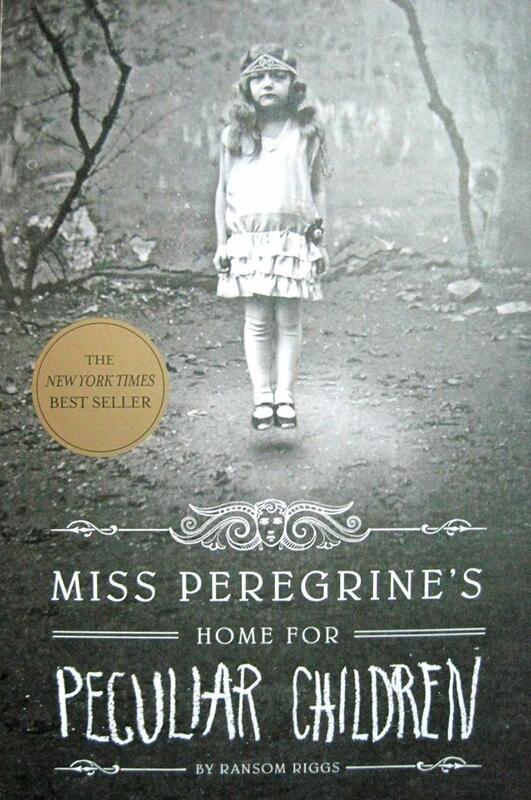 So yeah, the book made me angry, all over again. I’m sure it won’t be the last time I’m angry over the financial system in this country, nor over the collapse, nor over the way our government handled it. But this time I was definitely angry. So I can’t say I recommend the book. It was a little hard to follow, as it assumes a certain basic understanding of bond trading, of interest rates and tranches and collateralized debt obligations, that I didn’t really have. It does explain most of the technical matters quite well, but I still had to ask my wife about some of it. And, of course, the subject won’t interest most people, and if you are interested, it will likely make you really angry. It did me. But if you want to get angry — or if you’re already angry, and you’d like to know more about why and how — then read it. It tells the story extremely well. I’d read it 13 1/2 times. What I really want to do is spin a yarn worthy of this book. Something about how I found it rattling around inside a mandolin that was given to me by a Chupacabra who had disguised himself as a mariachi in order to hide from his family, who didn’t understand his determination to give up sucking the blood of goats and stick entirely to turnip juice, which he found much less phlegmy. But that’s not my task. My task here is simply to tell people about this book, and how it was to read it; I have to tell you about Walter Moers’s imagination. So here it is: this is an amazing book. Simply amazing. The cover says that it is “equal parts Douglas Adams, J.K. Rowling, and Shel Silverstein.” That’s essentially right, though it is honestly not quite as funny and improbably absurd as Douglas Adams’s books (But then, what is?). But it does have the same sort of basically shy, unobtrusive main character swept up in events larger than he, though Bluebear does come into his own more than Arthur Dent ever did, and it does have the same no-holds-barred universe, where literally anything is possible: where a character can transform into a fish in midair to save themselves from a fatal plummet off a cliff; where one can walk into the brain of a giant and have adventures accompanied by a thought; where an entire city can exist inside a tornado, and another can launch itself as a giant spaceship. Most importantly for the Adams connection, this book has an explanatory device that functions like the Hitchhiker’s Guide: Professor Nightingale’s Dictionary, which Bluebear has inside his head, after studying with the Professor himself for a time, and to which he refers whenever he is mystified by his surroundings – which is frequently. Those are some mystifying surroundings. They are magical, too, which is how like this book is like Rowling’s work; the depth and breadth of the world is much like the magical realm of Harry Potter; and this one, too, exists within – or perhaps parallel to – our own world; I wish I could walk into Zamonia just like I wish I could visit Diagon Alley and Hogwarts. And what’s more, this book is illustrated by the author, whose style is much like Silverstein’s. As if the wonderful story wasn’t enough, he adds these adorable cartoony drawings, just to bring it that much more to life. There are a few other books and authors that this novel reminds me of: Alice in Wonderland springs to mind, of course, as does Winnie the Pooh, whose sweet innocence and serenity are echoed in Bluebear (Who is also, of course, a bear: one with blue fur, as the name implies). China Mieville’s UnLunDun is the most recent book I’ve read that has the same magical realm close to our world in it, which also brings me to Neil Gaiman’s Neverwhere, though that book is darker than this one. My own childhood mythology included the Moomintrolls of Tove Jansson (Also European, also translated, also illustrated by the author, as is Bluebear), and in the epic and episodic nature of this adventure, I can see just a little of Don Quixote and my favorite fantasy series, The Lord of the Rings and The Wheel of Time. It’s got a bit of everything, and so I would recommend it to – well, everyone. Quite highly.